Two women outside Cyrus Napper drug store. Dog on sidewalk. View of [John W. Crawford] shoe shop. Logan, Utah. About 51 North Main. 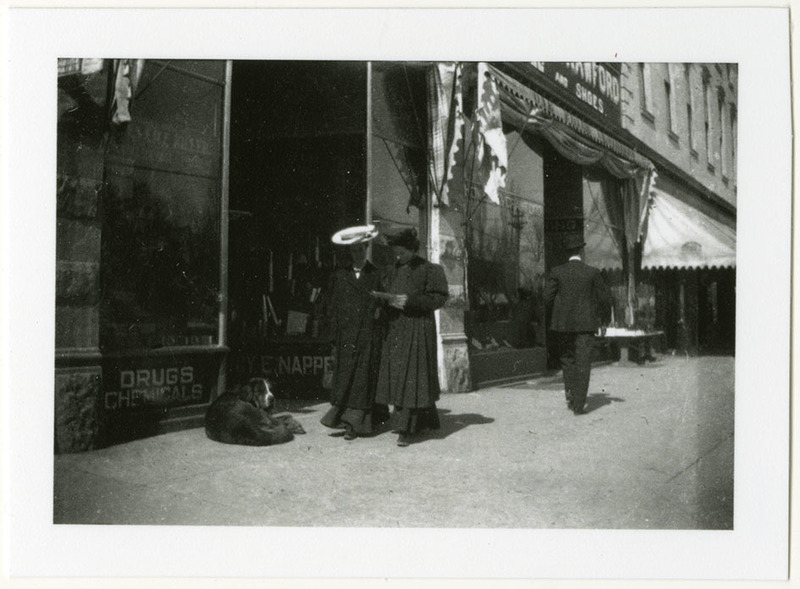 “Two women outside Cyrus Napper drug store,” USU Digital Exhibits, accessed April 24, 2019, http://exhibits.usu.edu/items/show/19724.